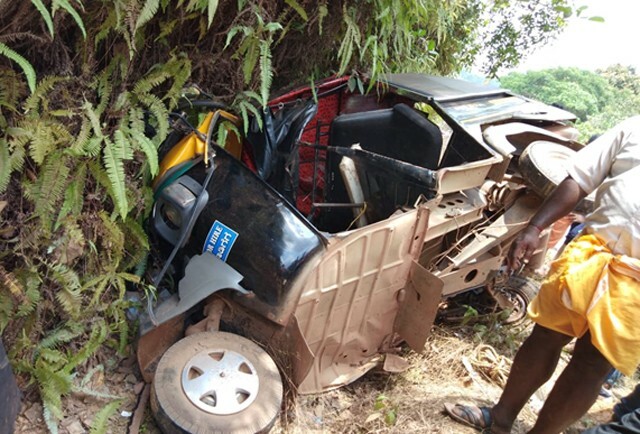 Bantwal, 10 Apr: Two sisters died and both drivers were critically injured in a head-on collision with a car and an auto rickshaw at Sajipa, near here, on Monday, April 8. The deceased are identified as Zainaba (45) and Zohra (55), both sisters. The tragedy occurred when they were travelling in an auto rickshaw. Both sisters breathed their last whilst taking them to the hospital in Mangaluru. Auto rickshaw driver Ashraf and car driver Mohammed Siraj are fatally injured. Both are admitted in a private hospital in Mangaluru. Bantwal traffic sub-inspector Manjunat and policemen visited the spot. Bantwal mobile police registered a case in this regard.